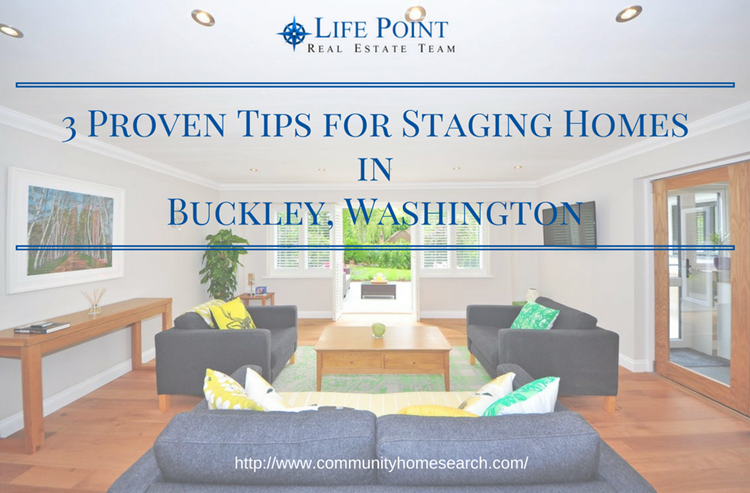 In this article, we will give you tips for staging homes in Buckley. 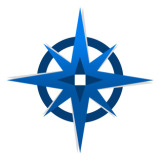 Properly staging your home is one of the three main tricks in selling a house fast, so it’s important to invest time into this component of selling your home in Washington. Let us put it this way: Imagine yourself as a buyer, looking for a home for your family. If you came across a house for sale that you couldn’t see yourself living in, would you still consider inquiring about the property? If you couldn’t see yourself making the home your own, you would certainly look elsewhere. While many home sellers precede without staging the homes simply because they no longer plan to live in that house, home staging is one of the keys to finding potential buyers for your property for sale. Want to know more? The following are 3 simple, straightforward staging tips to know about. First impressions last! Creating a first and lasting impression for your house is a must to help buyers remember your property. When a buyer visits your home for a view, the first thing that they will see is the curb appeal of your home. From the front yard and garage to the porch and backyard, the outside appearance of your house should be clean, cared for and inviting! You may also want to showcase some safety or homey features for your exterior. Water or fire features, outside dining areas for partying, foliage in your backyard, a grilling area, or even small gardens can add a lot to the look of a home. If your exterior needs work, even a few changes to the outside will be helpful. The exciting part of showing your home is when the buyer gets to explore the inside of your home to see its full potential! A dark, dreary home will not be something a buyer wants to see so lighting is a very important component of effective staging. Remember to provide your house with proper lighting, brightness and warmth to welcome your prospective buyers. Decorative lights and especially natural light will brighten up your space and feel very welcoming for your visitors so open up the curtains and try to do most showings during the day. One trick to enhance your lighting is to invest in some mirrors to hang around smaller rooms, as mirrors tend to reflect more lighting and make smaller rooms look more spacious! No buyer wants to walk into a home that feels dirty or uncared for. Before your showings, be sure that you have cleaned the house from top to bottom in every room. This means shining up the kitchen and bathrooms, making all of the beds, stowing away toys, dusting, mopping, etc. If you have a pet, be sure that your floors are cleaned and rid of smells and hair before showing. It is also a good idea to remove personal items such as family photos, religious imagery, political items, etc. A buyer wants to be able to envision themselves living in the home and these kinds of items can be distracting. Regardless of your budget for staging home in Buckley, be sure to consider the ideas suggested for a successful home presentation. These tips can be achieved even on a tight budget, simply by re-situating the furniture, neutralizing the colors and removing your own possessions to create a simple yet comfortable home look. The trick is to always remember to put yourself in the shoes of your possible buyers. Imagine what you would like to see and feel in a home when you visit it for the first time and apply that to your own home for sale.